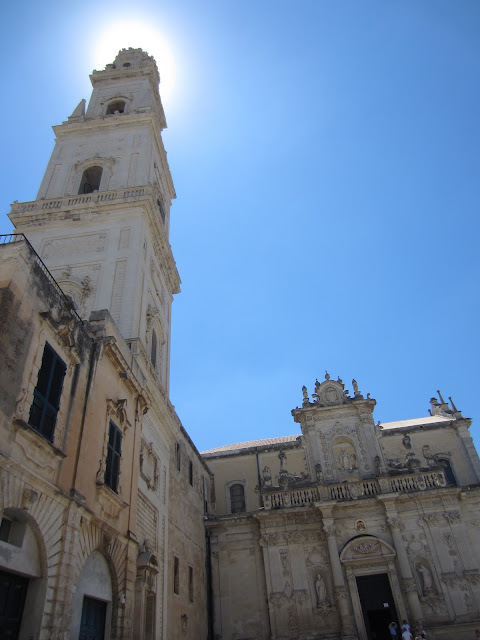 An orphan post from our trip through Southern Italy in June. It seems that the last few posts are all about lovely architecture in the sunshine. With all the rain in California right now no wonder I'm looking back nostalgically at these trips! Lecce is a lovely Baroque city in the heel of Italy's boot. 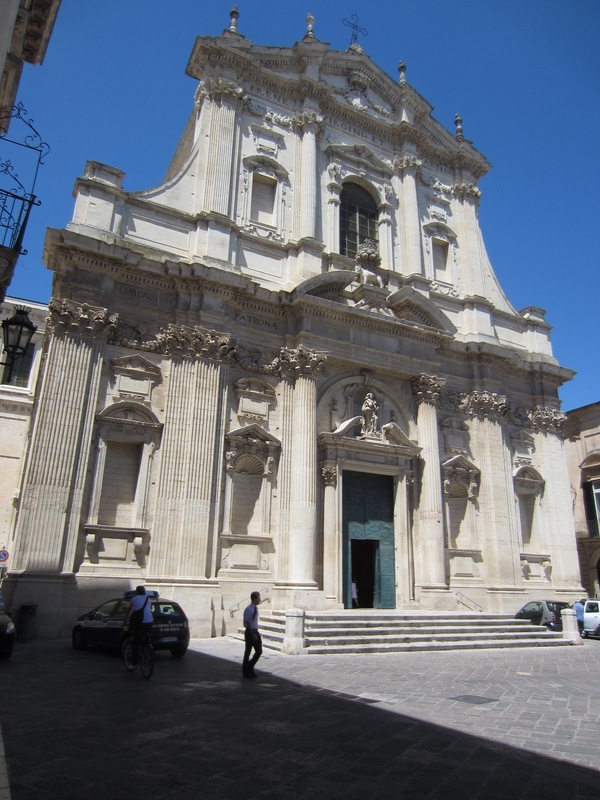 A small university city know for it's particular form of Leccese Baroque it's an architectural feast, photogenic appealing and easy to enjoy. This is a great destination for a few relaxing days. 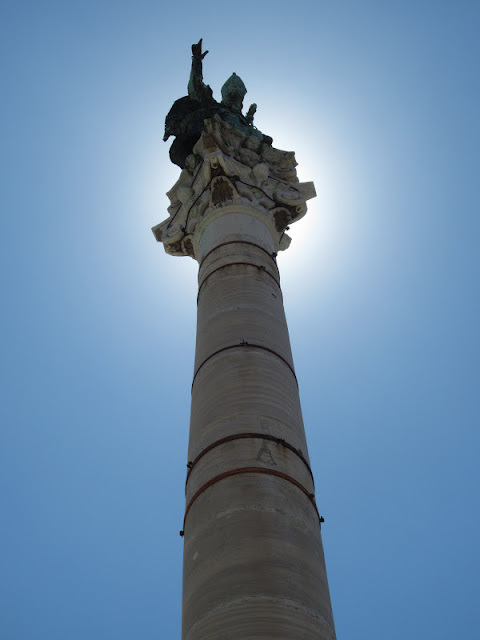 When we told people we were heading to Lecce they all said the same thing, "Oh Lecce, it's so beautiful". I mean they all said the same thing, exactly. Even if they hadn't been there, they said how lovely it was, or at least how lovely they'd heard it was! After a while it started to feel creepy and I was beginning to want to buck the trend and to hate Lecce! It felt as though the Tourist Information Office had brainwashed Italians to encourage everyone to Lecce, the city that is "so beautiful". 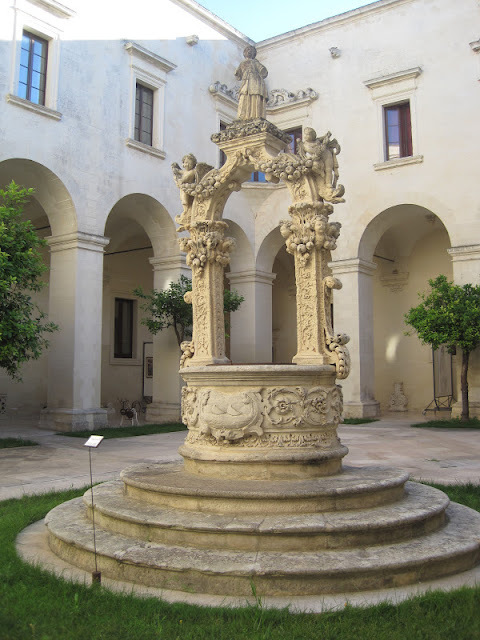 Unfortunately I don't have anything new to say, because Lecce is so lovely! A university town with a beautiful center filled to bursting with Italian Baroque architecture in a distinctive local style. 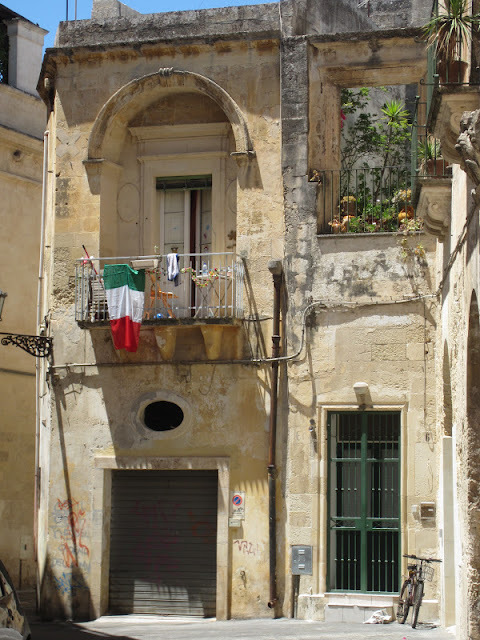 Lecce is a lovely place to spend a few days soaking up the atmosphere. The central square is fascinating with an extraordinary combination or architectural styles, Leccese Baroque, a Roman amphitheater, functional looking and classical invoking fascist architecture from the 1930s, it's an extraordinary melange as you can see above. There's also a lovely Roman theatre which looked beautiful in the sunshine as you can see below. The city is filled with extraordinary Baroque churches, palaces and monuments. I think the photographs speak for themselves. Just stumbled across your post while reading up about Puglia in the internet, and thought you might be interested to know that the movement of "brutalist" architecture essentially took place between 1950-1970. While Mussolini was a brute for sure, the Italian modern architecture of his years is either Rationalist or Fascist. Thanks so much for bothering to correct me, much appreciated and I'll make the change above. Since our trip to Lecce we visited Mussolini's EUR in Rome and have learnt a little more about both Italian architecture from the 1930's and Brutalism in Britain including the design of the Barbican which I love. I now know that the name "Brutalist" comes from the use of raw concrete or béton brut, but back then I wrongly presumed it was an aesthetic/political commentary. Thanks again!